WHAT IS SOUND DESIGN ? Sound Design as we propose consists in creating “the sound” of an audio composition. It’s possible and very common that a composition has a great quality, but that the sounds used to make it listenable doesn’t match expectations, sometime making it sound “amateur”. 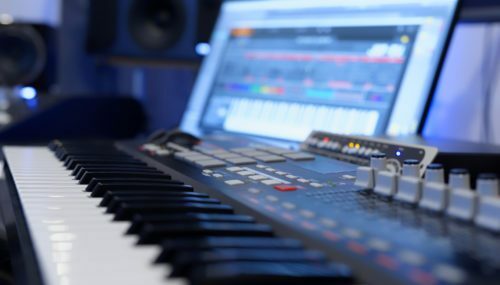 If you’re looking for the “pro” sound stop searching, choose our Sound Design services and we will bring your composition to the quality level of the greatest records released nowadays. Based on your composition’s needs, you’ll have several options, we invite you to choose from the list below what suits you best. We recreate your synth sounds (Vintage or modern) using our knowledge of legendary synthetisers (Moog, Juno, Prophet …) and today’s FM synthesis (Serum, FM8, Massive …). We conceive custom made drums, for all genres (Electro, EDM, Pop, Rock…), in the spirit of the times and perfectly adapted to your compositions. We take care of your song’s ambiances and special effects, pushing your track’s production to this point can sometime be game changing.